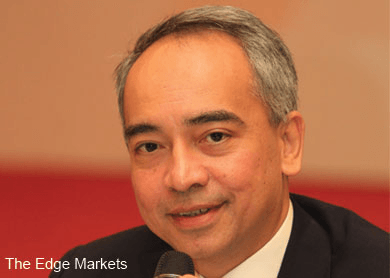 KUALA LUMPUR (June 17): The prime minister's brother, Datuk Seri Nazir Razak, is in the midst of forming a new non-partisan political party to reach out to all races, Asia Sentinel reports. The news portal reported that Nazir, who is chairman of CIMB Group, one of the largest financial services providers in Malaysia, has been meeting with business leaders in his UK headquarters and in Kuala Lumpur to discuss the matter in an attempt to end “divisive racial politics". “Nazir is said to have been meeting with moderates, including Chinese leaders in the campaign, to formulate the new political party, which would, if successful, dramatically redraw the country’s political landscape, fracturing party lines laid down before the British colonists handed Malaysia back to its own people in 1957,” it said. The report added that Nazir had approached Global Movement of Moderates chief Datuk Saifuddin Abdullah to lead the new party. “Nazir’s friends have advised him that he must emerge as the prime mover or it won’t work,” it said, adding that despite being respected as a moderate, Saifuddin lacked the widespread clout to attract support. The Asia Sentinel report comes amid fracturing relations in Pakatan Rakyat with an ever-widening rift between PAS and DAP. The latter recently said the coalition had ceased to exist after PAS moved a motion to sever ties with it. “The apparent collapse of the Pakatan coalition on May 16 appears to set the stage for a possible major political realignment, with the fundamentalist PAS, seeking to make common cause with Umno on the theory that the two could take the preponderance of the votes of the 60.1% of the population who are ethnic Malay, and preserve ethnic Malay political dominance. “That scenario is likely to drive moderates and ethnic minorities now aligned with Umno – MCA and MIC – to seek a different and more viable political vehicle,” it added. Recently, Nazir has been critical of Putrajaya’s policies, especially in the handling of the 1Malaysia Development (1MDB) controversy, which according to the report, gives him an air of credibility. Asia Sentinel added that unlike other unsuccessful political upstarts, Nazir and his partners were more than capable of raising the necessary funds.